WE’RE GETTING TO KNOW OUR GANG OF MAKERS A LITTLE MORE BY SHARING YOUR STORIES AND GENERAL AWESOMENESS IN OUR MEET THE MAKER SERIES. THIS MONTH, WE CHAT WITH RON MCQUADE, THE LONDON-BASED GRAPHIC DESIGNER OBSESSED WITH SUSTAINABLE FASHION AND FEMINISM. I’m a freelance graphic designer living in London. I studied Chemistry at University before changing career paths completely and following my dream of being a designer. 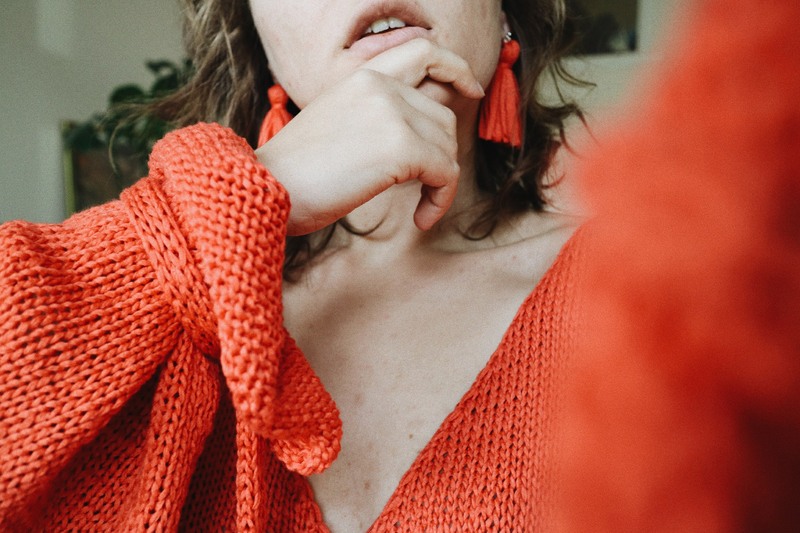 Online, I spend a lot of time talking about sustainable fashion and feminism, according to some sources fashion is the second most polluting industry after oil so it’s an important topic to discuss in the context of saving the planet. In my free time I love doing all things creative; whether that’s cycling out to town to go drawing, painting or knitting with friends or spending time haunting museums, watching cinema or theatre, or going to see a band live. I also like to go charity shopping: it’s like a treasure hunt, whether I find anything or not, it’s always interesting. My favourite colour is orange and my favourite food is pizza (Neapolitan style, please). 1. I love music, I can’t work in silence; I’ve always got the radio going or I’ll put on something from my record collection. I even joined a gym so I could spend more time just listening to music without interruption. 2. I was once on Japanese TV when I was 13. I was in a small segment on a local news channel after I took part in a project planting trees to re-establish a forest. I was also in a Japanese magazine after conducting an interview with the mayor of Yokohama for my school newspaper. 3. I’m a published poet; the less said about this, the better. My mum! I can’t remember exactly when but she’s been knitting jumpers and scarves for me since I was little. Every time she taught me I would forget and she’d have to teach me again. I finally re-taught myself a couple of Christmases ago as I wanted to make knitted gifts for all my family and friends. The first thing I remember making and wearing out of the house was a hot pink crochet beret that I made when I was 16 (cringe!). I was at an age when I wanted to start following the trends but I didn’t have any money so I started getting creative at home and learning to make my own clothes. I learned how to sew, knit and crochet and I haven’t looked back since! I’ve got my eye on the Ra-Ra Raffia kits, especially the Paper Gangsta Bag; I love basket bags in the summer so it makes perfect sense to make one. Then I can use it to carry all my other knitting and crochet projects. The knit stitch; I love that you only need to learn one stitch to get started with knitting. It’s so exciting to make things and with knitting it’s so easy to get started and see results. It’s a brilliant feeling, making something yourself and then being able to wear it, it’s so much more rewarding than buying something. I’m probably exploring London by bike, rummaging through the local charity shop, at the gym or eating pizza. I also love to draw and paint and occasionally sew my own clothes, anything creative really. Pay attention to tension! Every time I’ve come across a problem with my knitting the answer has been bad tension. Always do a tension square before starting a project and pay attention to areas of inconsistent tension, I has most trouble with edges. The question isn’t, where DO I knit, it’s where DON’T I? I take my knitting everywhere, I knit on the tube and the bus, and I crochet on flights. I take my knitting to the pub (although it’s difficult to drink wine and knit concurrently) or just settle in for an evening of Knitflix and Chill. Although most of the time I knit at the kitchen table, getting a few rows in throughout the day. My favourite piece that I’ve knitted so far is the One Sweet Sweater; it was my first jumper and I love the colour and the unintentionally long sleeves, it’s a real statement piece. Plus Tina Tape Yarn is absolutely beautiful, to whole thing is so soft and silky to touch. Of the yarns I’ve tried I like Billie Jean best, cotton is easy to work with because it doesn’t slip and slide and the knitting/crochet that it produces has great body. 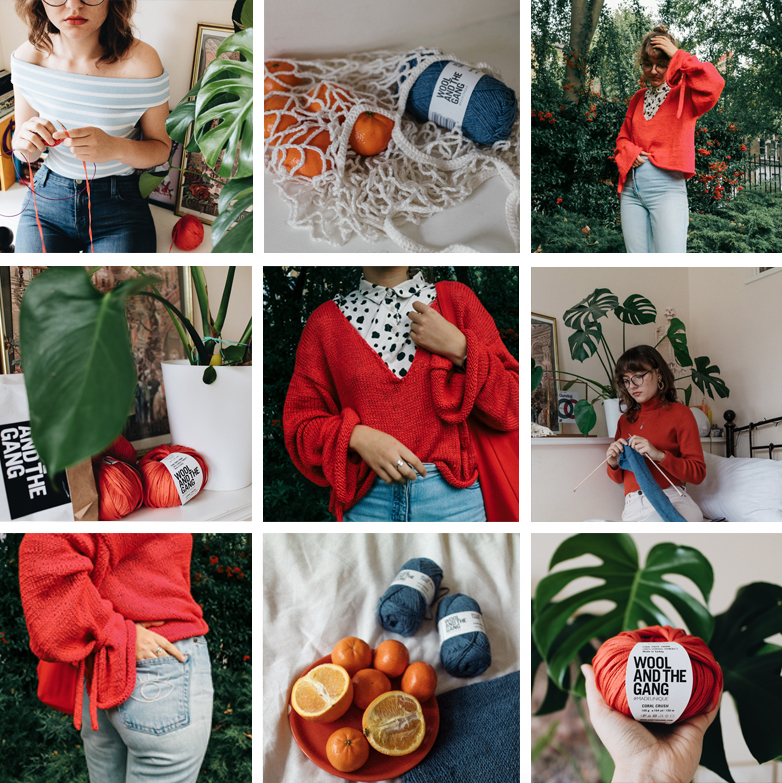 Also, I adore that Billie Jean is made of recycled denim, sustainability is so important to me and I love that I can knit with a clear conscience.